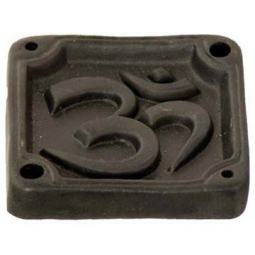 The Om Symbol Tea Light candle holders will hold two Tea Light candles (included) at a time, or you can burn cone incense instead (or one candle and one incense stick). 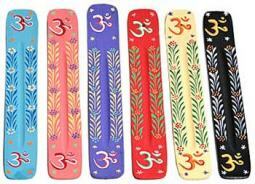 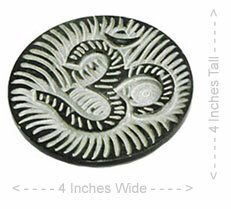 These candled holders feature a hand carved Om Design, and they measure 7 inches tall and 5 inches wide. 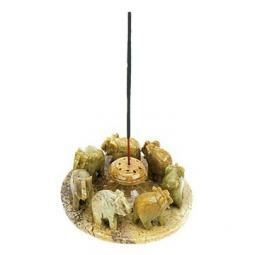 Since each candle holder is handmade from soapstone in India, each piece is its own unique work of art.